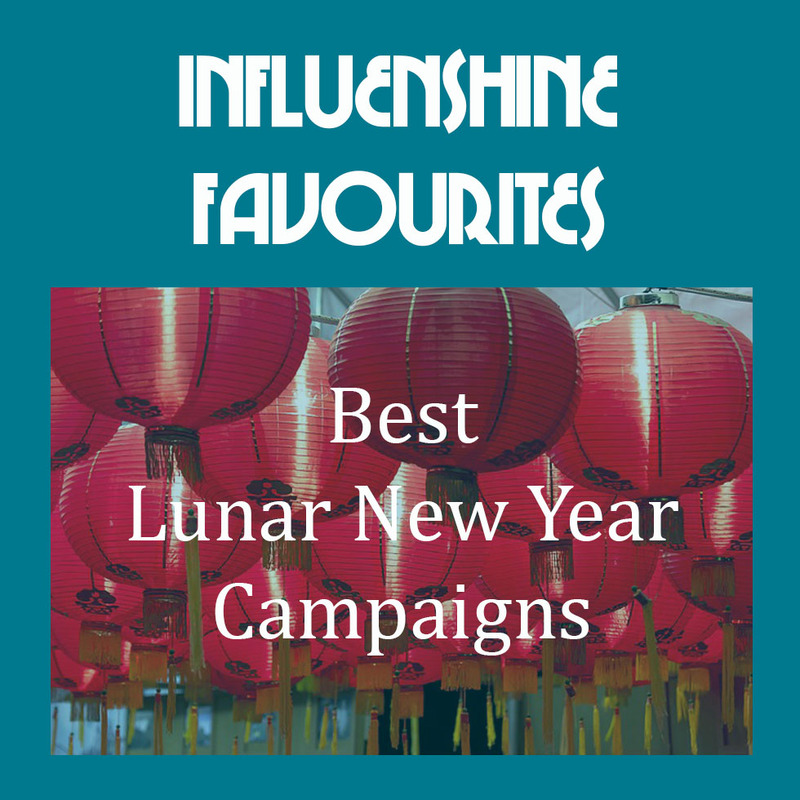 In our monthly ‘Influenshine Favourites’ series, we’ll be listing our favourite content from around Asia Pacific. We’re looking at recent videos, social media campaigns, product/service launches and more! If you’d like to contribute and help us decide the next Favourites theme, use #InfluenshineFaves to connect with us! The lunar new year is here, in the spirit of celebration, we’ve picked our top 10 Lunar New Year Campaigns. These campaigns happened within the last 2 years and are singled out for their immense popularity, uniqueness and effectiveness in communicating the celebratory season. An emotional and incredible ad from the Malaysian oil and gas company, questioning its viewers about what it means to have a blessed year ahead. This Ikea spot taps onto Kungfu moves to promote everything you need in the kitchen this Chinese New Year. It features a mother-daughter pair breaking out in exaggerated martial arts move to prepare a “legendary” New Year reunion with the family. The backdrop of this performance, is of course, an impeccable Ikea-furnished home. The Singapore beer brand has undertaken an ambitious movement to get the world in on Chinese New Year (CNY) with #SayItWithTiger campaign. 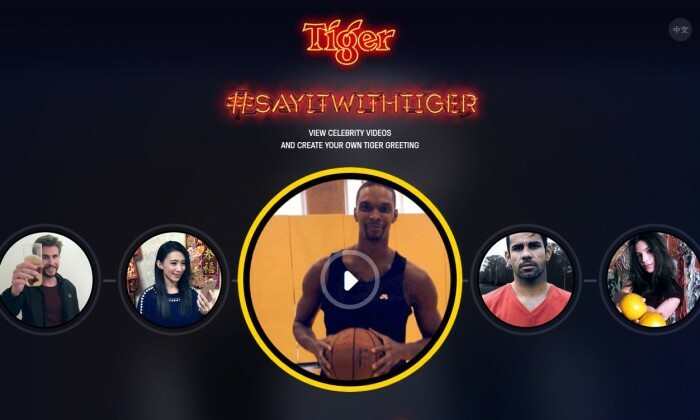 Five days into the campaign, it has picked up momentum with global celebrities from Liam Hemsworth, Diego Costa, Emily Ratajkowski and Chris Bosh, to name a few, doing their best version of an authentic Chinese New Year greeting on SayItWithTiger.com. Coca-Cola has teamed up with local artiste Benjamin Kheng to encourage families and friends to look to Chinese New Year with hope and optimism. 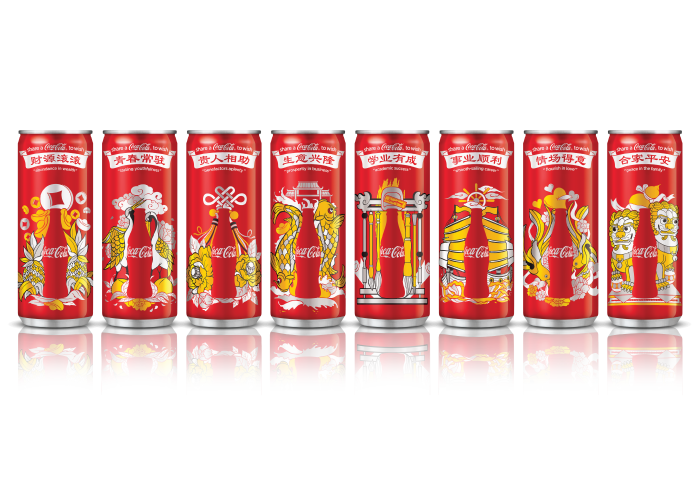 Coca-Cola has also unveiled eight limited edition collectors’ cans to help people share good wishes. Watsons Malaysia created a campaign with a music video wishing you a Happy Beautiful Year. You can see the new products available in stores during the festive season and it sends the message of being beautiful inside and out. NESTLÉ’s popular FRUTIPS brand. The campaign plays on the name of the brand, which in Chinese has a dual meaning of “FRUTIPS brings you luck”. The TV commercial aired for the first time in Hong Kong on January 18 across TV and online platforms including YouTube and Instagram. Targeting teenagers and housewives, the commercial features a popular Korean actor Lee Kwang-Soo, as well as Hong Kong comedy talents Lo Fun and Tats Lau. The creative idea uses an old, well known traditional Chinese folk song (mountain song), and freshening it with quirky, funny lyrics, giving an element of surprise to the audience. The song is also fitting for the Chinese festive season, not only promoting FRUTIPS but also singing CNY greetings to the audience. To date, the commercial has gained high awareness and positive feedback, with over 1.7 million views on social media and various online platforms within just a few days. UNIQLO, Japanese apparel company, has expanded its market across the globe over the last decade. For Malaysia market in particular, they partnered with IH Digital Malaysia, Asia’s 360 Digital Marketing Agency, to manage their social media platforms including Facebook, Instagram and LINE. 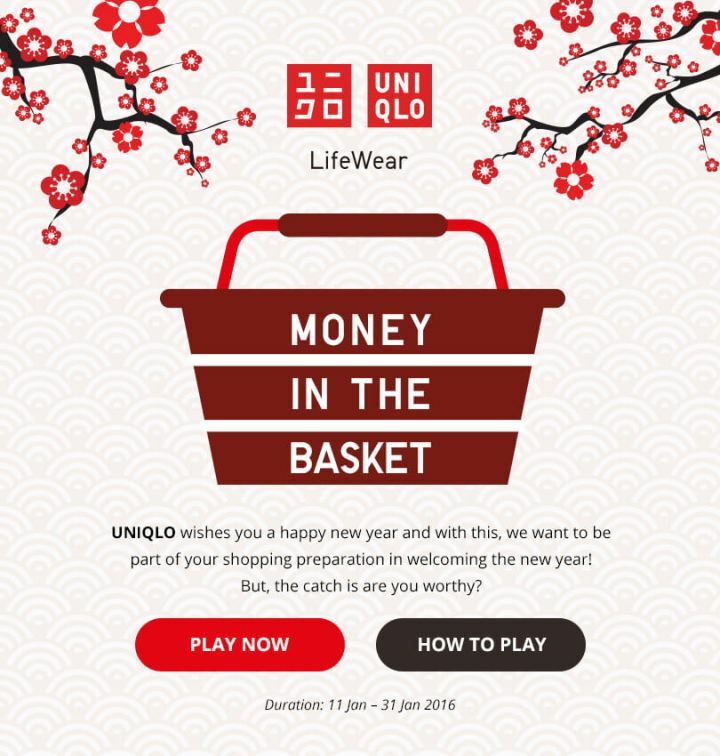 Leading up to this year’s Chinese New Year, the brand launched a Facebook game application with a New Year theme, UNIQLO Money in the Basket.The app was designed with a simple and easy mechanism, and to further encourage participation, the brand was giving away UNIQLO vouchers worth more than RM8,000 (roughly USD2,030)! The campaign received good response with huge participation, which led to an increase in both online engagement and offline sales transaction during the period. Bank Simpanan Nasional(BSN) introduced a new series of print ads for Chinese New Year. The aim of the campaign series is to convey the Bank’s message of ‘savings through responsible spending’ in a practical and creative way for Malaysia’s key festivals. 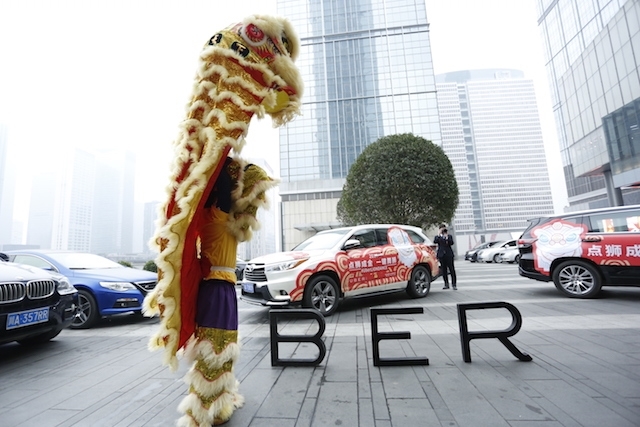 Uber rolled out a Lion Dance campaign in 23 cities around China, including Beijing, Shanghai, Guangzhou and Shenzhen. Between 10 am and 5 pm, Uber users in these cities could select a special Lion Dance option on their app and call a Lion Dance team directly to their location within a few minutes. In Guangzhou, Uber users could also use their app to call a calligrapher to come to their location and write the traditional “hui chun” (挥春), the traditional four-character rhyming couplets that people hang outside their doors in advance of the Chinese New Year. 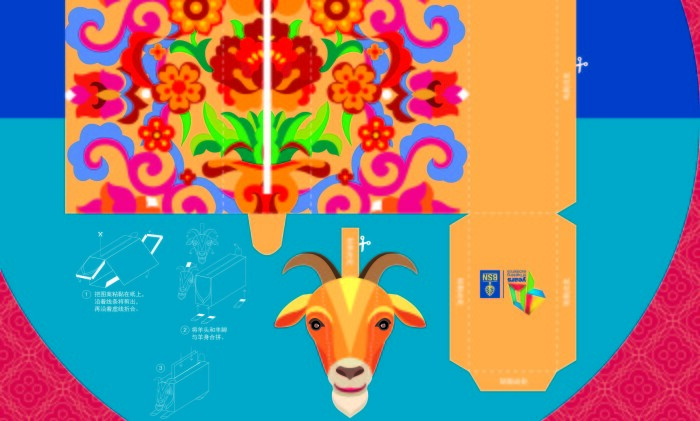 McDonald’s has launched a 2015 Chinese New Year campaign to rediscover the true meaning of Chinese New Year with consumers. Chinese New Year can be difficult for many young Chinese, especially those who work outside their hometown – trouble to get a train ticket, long hours sitting in traffic on long stretches of highway, and the unceasing interrogations from relatives about job, marriage and status. However they still want to go home during this special time of year because there are people they care about and who care about them at home. Spending CNY (Chinese New Year) with the people that really matter is the true essence of reunion and CNY. The campaign launches with a 30-second thematic manifesto in real life documentary style that communicates the idea that, “I can celebrate my CNY without train tickets, good weather or red packs, but I can’t enjoy it without you. You are my CNY.” The campaign also includes one 15-second commercial and OOH to promote the two seasonal limited heritage products rooted in CNY tradition – Prosperity Burger and Red Bean Pie.